If you have read some of my other reviews you will know that this is one of the restaurants that we try to visit at least once a year. 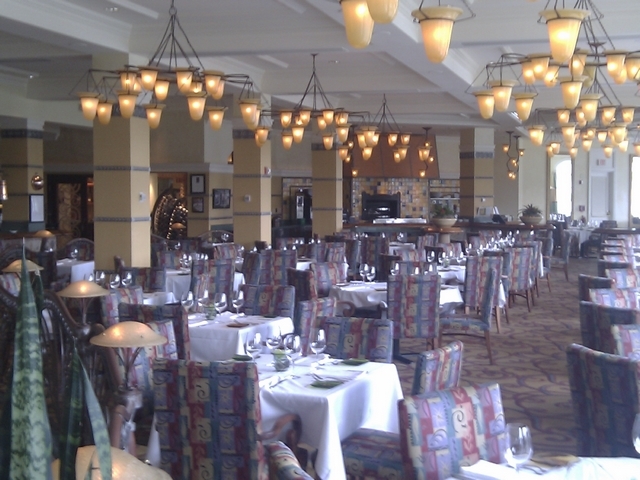 It is one of the lesser known places and that combined with the cost does sometimes make it easier to get a dining reservation; compared to some of the popular locations in the Magic Kingdom area. Also those looking for a higher end dining experience often tend towards the California Grill or Narcoossee’s because of the fireworks views. We find that the food easily rivals that of the other Disney signature restaurants that are nearby while offering a peaceful and comfortable atmosphere. As this is a Mediterranean restaurant the menu majors on the flavours and styles of Provence, Tuscany, and the Spanish Riviera. 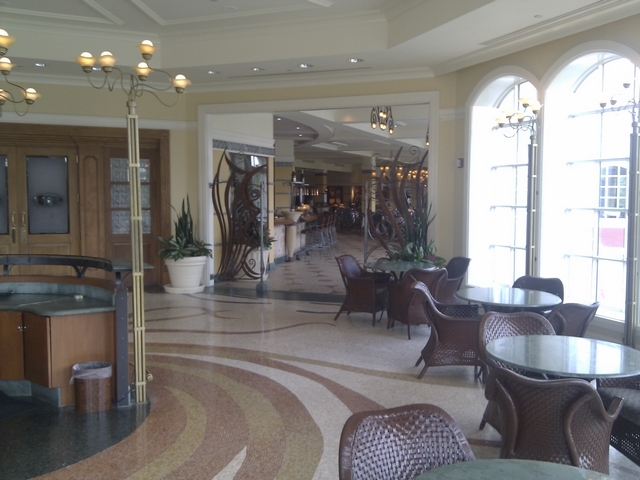 The location of Citricos makes it one of the harder restaurants to find and also means that many miss it as it is positioned on the second floor of Disney’s Grand Floridian Resort. 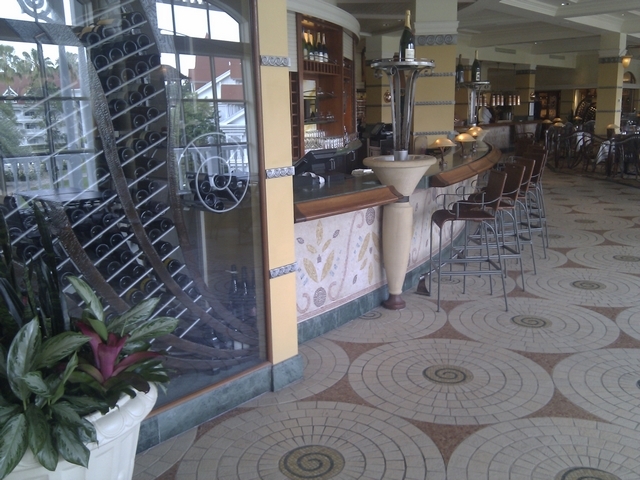 It is also at the back of the main building and shares a single entrance foyer with Victoria & Albert’s. 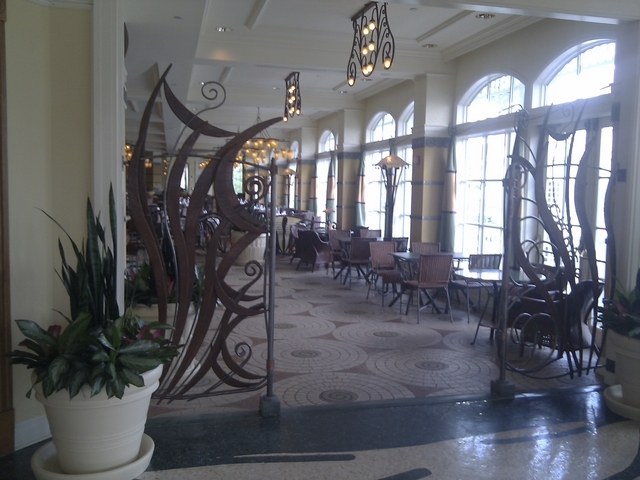 Once you pass through the joint entrance the doors to Victoria & Albert’s are on your left and a set of iron gates serve as a demarcation of the bar and main restaurant from the waiting area. 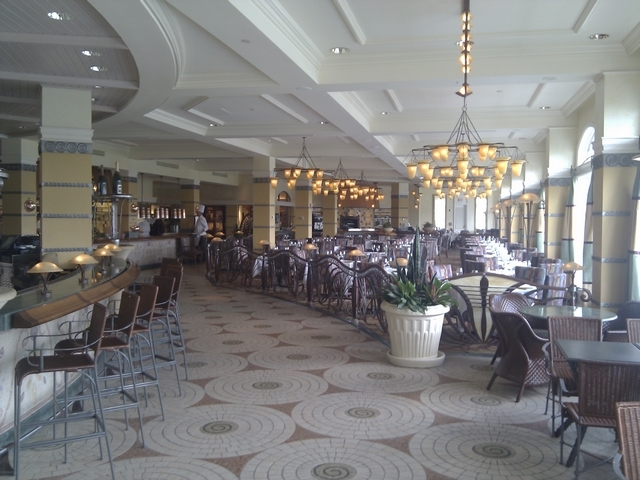 If you are familiar with the Grand Floridian Café then you will also know the layout for Citricos as is basically the floor above it. 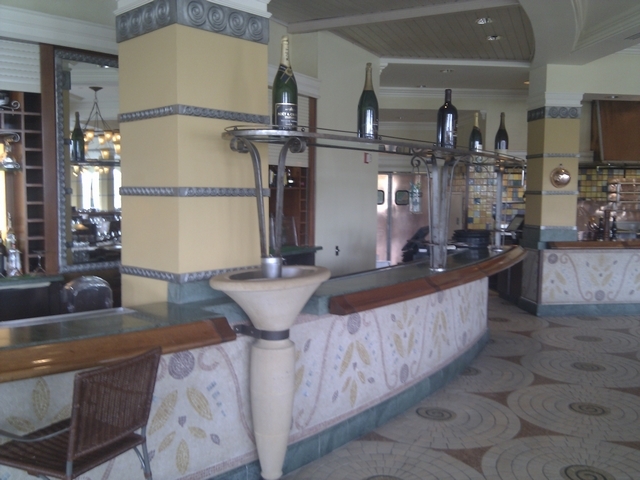 As such after passing through the gates you have the first part of the dining area and the bar. 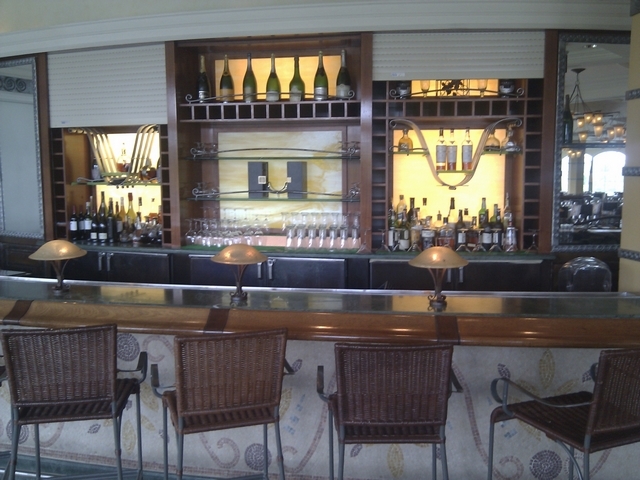 One wall is made up of large windows overlooking the hotel pool while on the left is a wine room, bar, and display kitchen. A little further on is the “chef’s domain” an enclosed private dining room. This must be booked well ahead of time, and there’s a food and beverage minimum cost. Here you can order from a specialized menu or just stay with the standard menu. If you are planning a special event during your stay this could well be the place to ensure it is never forgotten. 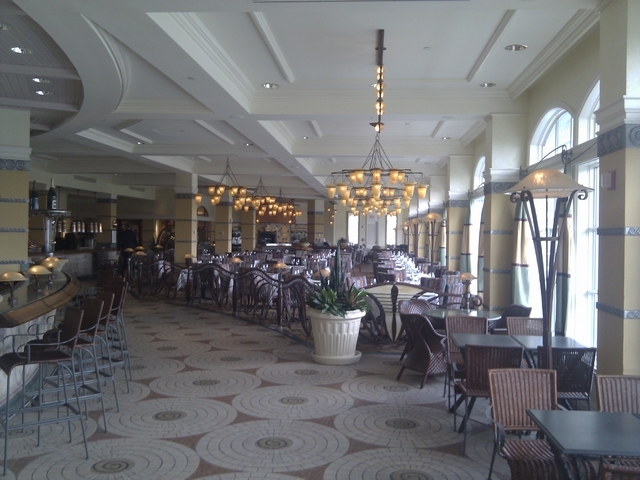 When you reach the rear of the dining room you will find what we think is one of the best seating areas of any Disney restaurant. If you have the option it is well worth waiting for a table to become available in this section. The round section of the room has floor to ceiling windows for about half of its area and these offer great views over the hotel and out onto the lagoon. There are a few seats where you can see the Magic Kingdom and even the fireworks but these are very much the exception to most of the seating area. The style of Citricos could best be characterised as modern Mediterranean. Citricos’s design is easy on the eye giving a light welcoming feeling. 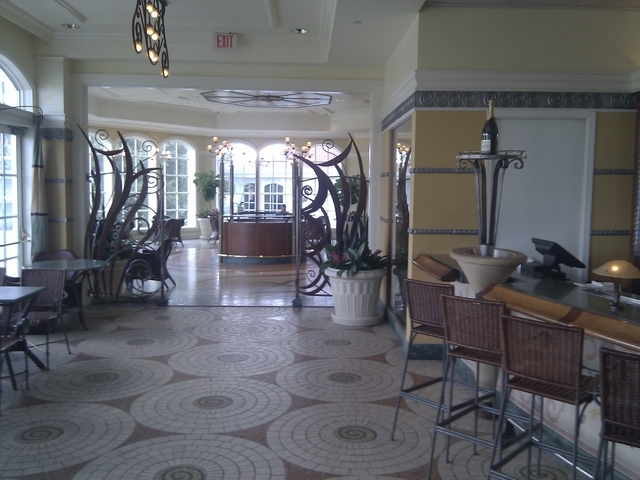 This is helped by a palate of warm colours, the lighting, tiled floors, and clever accents. A swirling motif has been carried throughout the design. It shows up in the chairs, curtain rods, floor tiles and even the carpet. The seating offers splashes of colour on the table with both the candle holder and the bread plates coming in a range of colourful glass. The chairs themselves are worth a mention as they are quite soft and very comfortable. This is just a review of the restaurant location, not an in depth look at the menu. It’s worth mentioning that many restaurants at this end of the market will change a lot of the menu with each season so do check ahead if you have read about a particular dish that you really want to try. Overall I would say that you will never be disappointed with a meal at Citricos. We have always had superb food and service. You are never rushed here and you should really plan on an evening meal being just that and lasting around three hours. 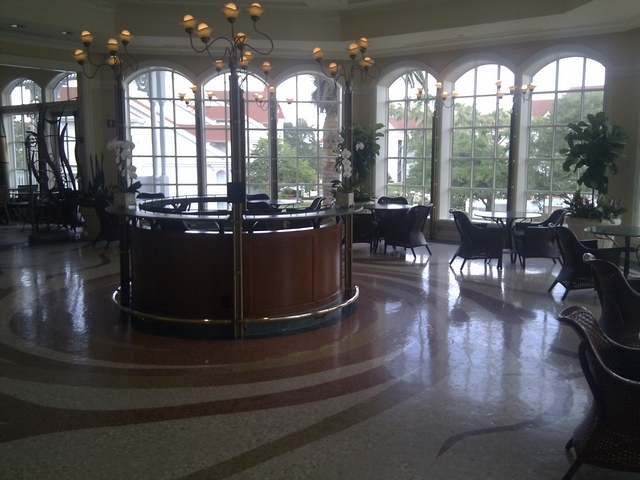 Overall this is just a great place where you can enjoy a meal in a calm and relaxing environment. Viewed 2163 times since 30 September 2015.